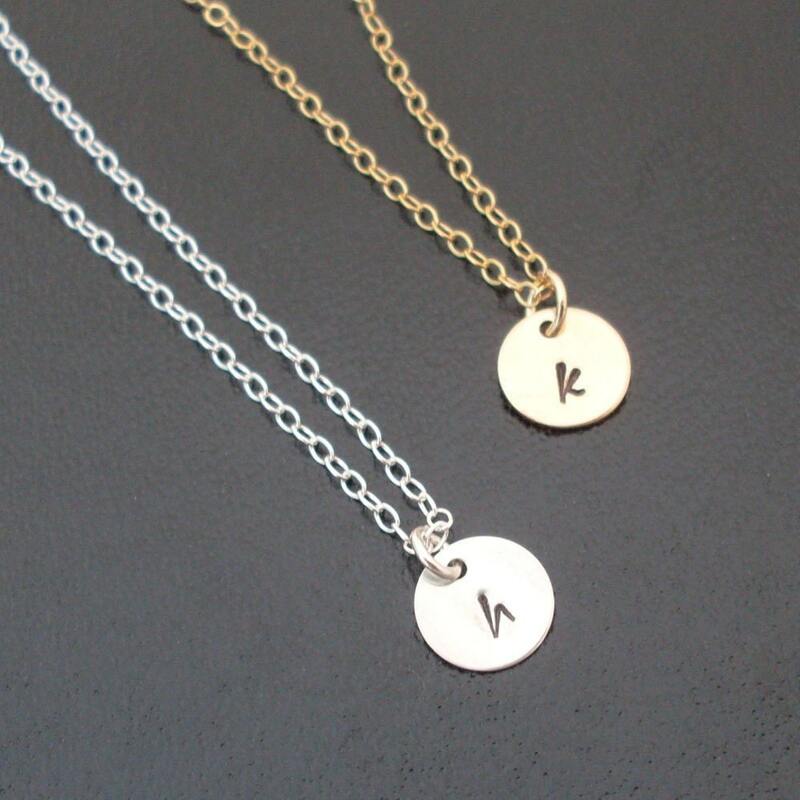 Select from a cute gold filled initial disc charm hand stamped with your choice of lowercase initial on a delicate gold filled chain -- or a hand stamped initial on a sterling silver disc charm with a delicate sterling silver chain. 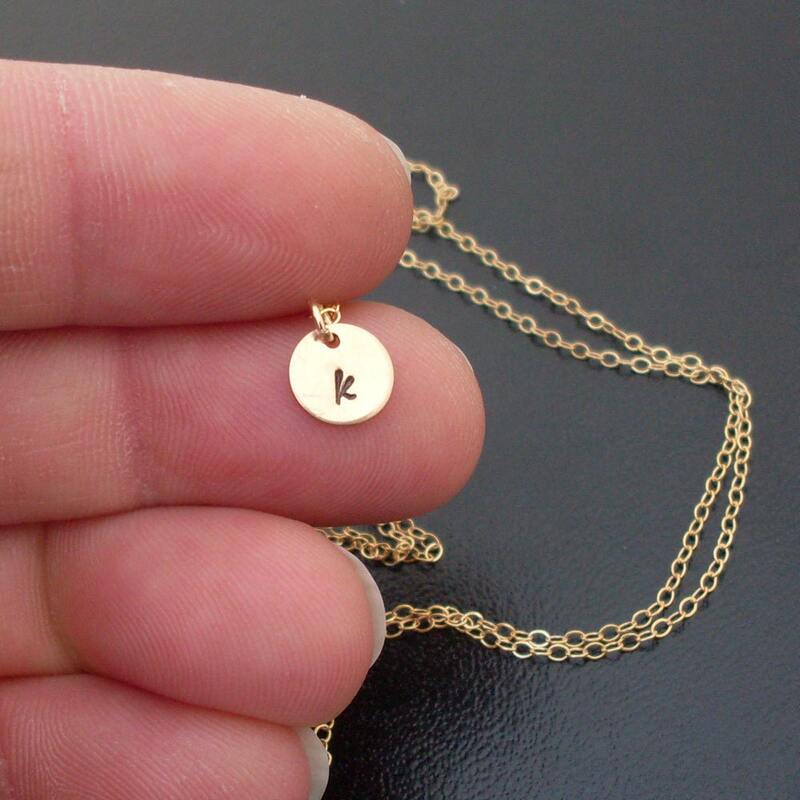 This listing is for 1 custom initial necklace. Please specify your choice of initial in notes to seller during checkout, also if you want the gold necklace or the sterling silver necklace. Also please tell me your chain size for your initial necklace, 16", 17", 18", or just about anything else you like for your either your gold personalized necklace, or sterling silver personalized necklace. 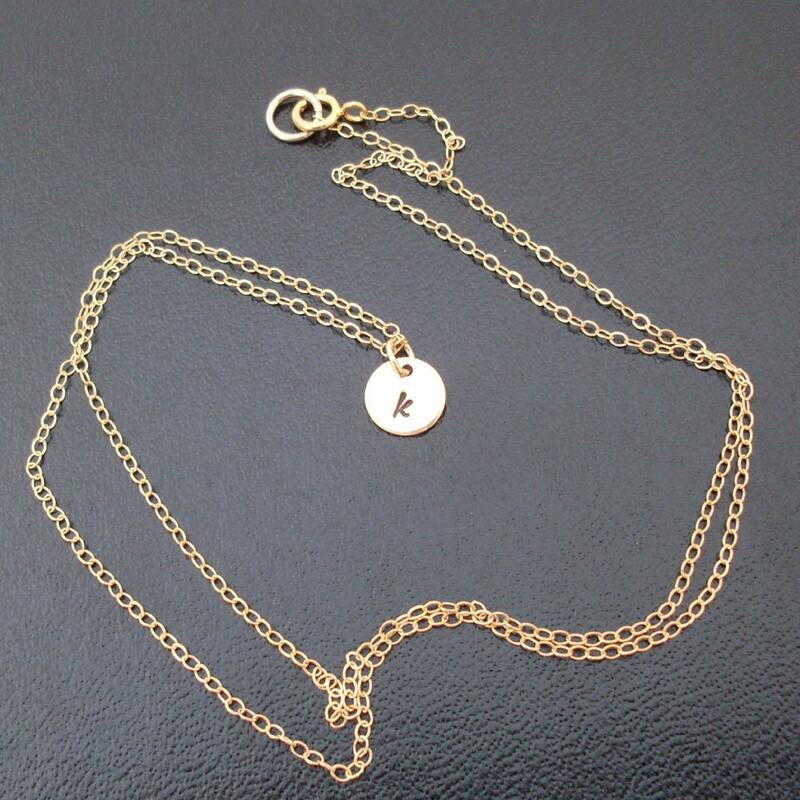 The size of the disc charm for your customized initial charm necklace is 7mm on a 4mm jump ring. The last picture shows all other charms available in my shop to add to any bangle or cute personalized initial necklace... 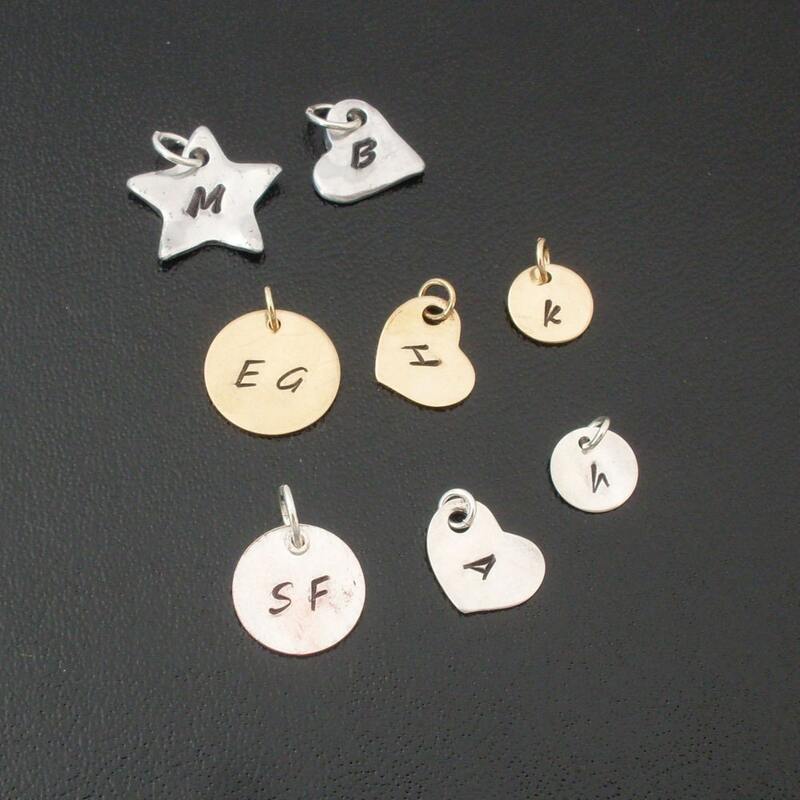 If you would like to use one of these other custom initial charms for either your gold initial necklace or sterling silver initial necklace, please specify in notes to seller during checkout for your customized initial necklace. 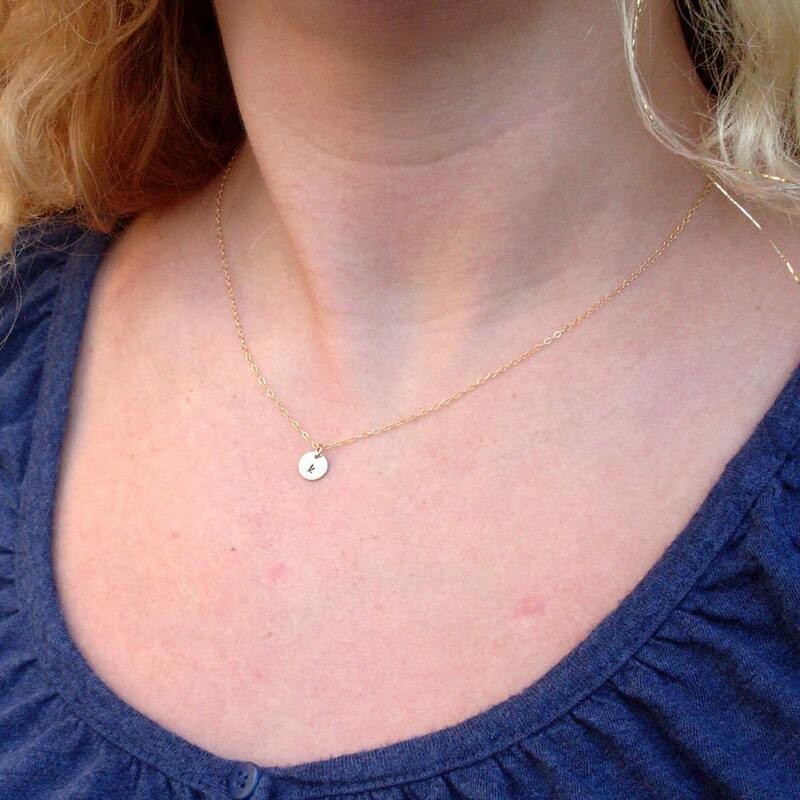 This customized necklace created and hand crafted with great care and love for you and yours. All of my items including this monogram necklace are special handmade creations that are original Frosted Willow designs.